« SICW & GIMMICK TREE ENTERTAINMENT Presents Tommy Dreamer, Road Warrior Animal, The Baron Von Raschke and Mr. USA Tony Atlas. This entry was posted on April 2, 2019 at 4:51 pm	and is filed under Uncategorized. 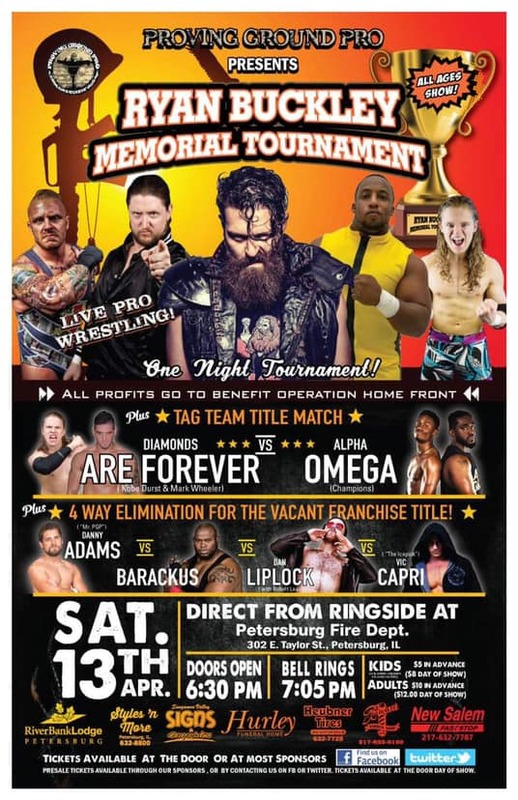 Tagged: 2019 Ryan Buckley Memorial Tournament, Alpha Omega, Barackus, Camaro Jackson, Danny Adams, Diamonds are Forever, Jake Dirden, pgp, Proving Ground Pro, Ryan Buckley Memorial Tournament, Vic Capri. You can follow any responses to this entry through the RSS 2.0 feed. You can leave a response, or trackback from your own site.